If you are visiting Glacier National Park, Johnson's is the place for you. The Johnson family has been a staple of St. Mary and Glacier National Park for over 63 years and 3 generations. 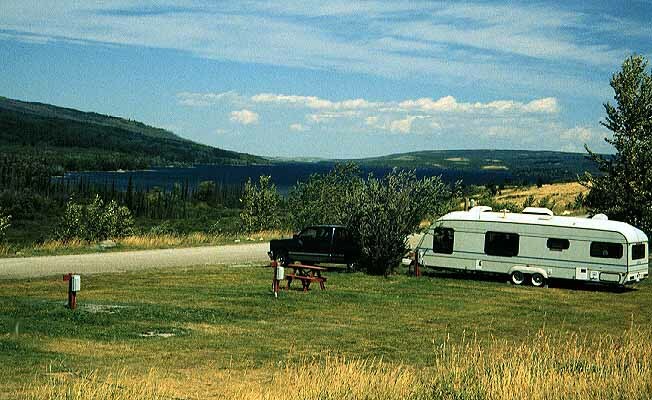 The RV park and campground offers a number of campsites as well as furnished and unfurnished cabins. It also has 75 tent sites and 82 RV sites to choose from. The sites vary from a grassy meadow, a thicket of trees, or one with a panoramic view of Glacier National Park. The view from Johnson's property is one of the most spectacular views you'll find anywhere. The great Rocky Mountains, Lower St. Mary Lake, Upper St. Mary Lake, Glacier National Park and the Blackfeet Reservation are all in view from Johnson's. While taking a walk around our campground or on our nature trail one might spot a deer, fox, elk or even a bear! Watch the beavers work on their damns as the wild geese swim in the pond. At Johnson's we also offer a range of amenities for your convenience such as: laundry facilities, RV supplies, horse shoes, Wi-Fi hotspot, hot showers, dump station, propane, snacks and sundries and information about the Blackfeet Reservation and Glacier National Park. Thinking of a family reunion, wedding or other large gathering? Johnson's is the perfect spot. We have a large pavilion in our campground that can host groups from 50 to 350. Johnson's is known far and wide for our home made family style meals that feature homemade soup, breads, delicious entrées, desserts and more. Cabins, Cottages and The Bessie Shannon Bedroom are available for those who don't care to camp. Let us make your stay at Glacier one you will always remember! Come to Johnson's and be part of the family! 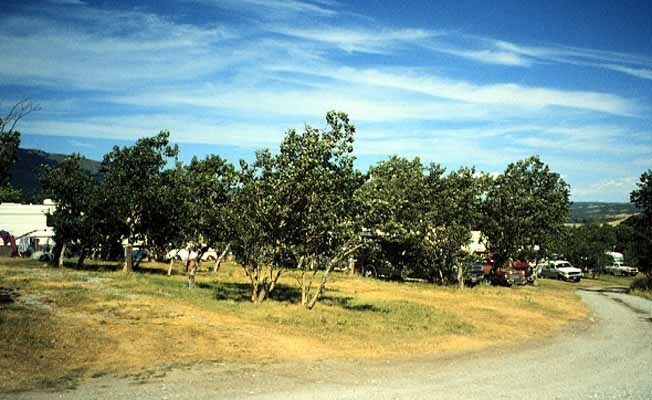 Johnson's RV Park, Campground, Cabins and Cafe is located at the north edge of St. Mary, up the hill. Johnson's is 0.25 mile from the entrance to Glacier Park and overlooks both upper and lower St. Mary Lakes.